Rahul Patel was born in London, England and lived there for 13 years before immigrating to the United States with his family. Mr. Patel and his wife Swati, a University of Florida alumna, live in Atlanta, Georgia with their two children – Anyssa and Selena. Mr. Patel is a partner in the law firm of King & Spalding where he has been a mergers & acquisitions lawyer for over 20 years. King & Spalding is an international law firm with over 800 lawyers in 19 offices in the United States, Europe, the Middle East and Asia. The firm represents a broad array of clients, including half of the Fortune Global 100. 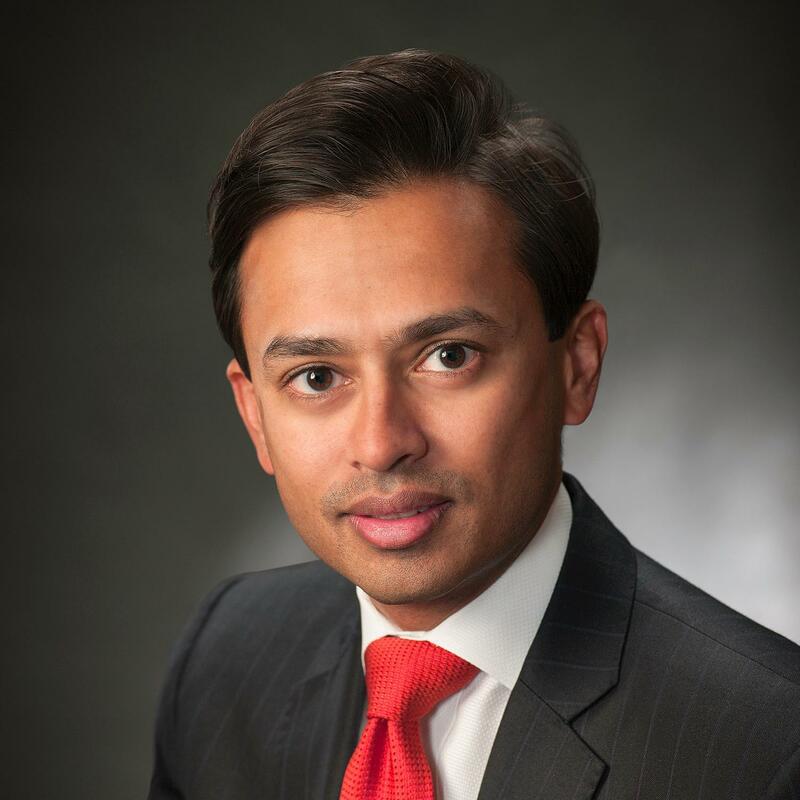 Mr. Patel was elected by the firm’s partnership to serve on its Policy Committee, which serves as the firm’s world-wide governing and management committee. Mr. Patel regularly serves as lead outside mergers & acquisitions counsel for leading companies, including General Electric Company, HD Supply, Roper Industries, SunTrust Banks, and United Parcel Service. A portion of Mr. Patel’s practice focuses on cross-border transactions, particularly transactions involving Indian companies. Mr. Patel is ranked by Chambers Global, Chambers U.S.A., and Chambers Asia-Pacific as one of the world’s leading M&A lawyers. Mr. Patel received a Bachelor of Arts degree from the University of Florida where he was the Outstanding Male Graduate from the College of Liberal Arts and Sciences. Mr. Patel received his law degree from the University of Florida, with honors. He is the past President of the University of Florida National Alumni Association and the past President of the University of Florida College of Law Alumni Council. Mr. Patel has been inducted into the University of Florida Hall of Fame and was one of three University of Florida Law School alumni given the inaugural Outstanding Young Alumnus Award. He is also a member of the Board of Directors of Crawford & Company (NYSE) and The Westminster Schools.